Dorothy Salisbury Davis, an award-winning mystery author whose fascination with motivation, morality and manners — more than violence — powered the intricate plots of the suspense novels she wrote over a half-century, died on Sunday at her home in Palisades, N.Y. She was 98. The Mystery Writers of America gave Mrs. Davis a lifetime achievement award, and she came to be regarded as a grande dame among crime writers. In 1986 she helped found Sisters in Crime, an organization of female mystery writers formed to reverse what they saw as a tendency by many publications to disproportionately review male authors. She geared her books toward women by creating “a mystery of manners,” she said in an interview with The New York Herald Tribune in 1959. When Mrs. Davis found her birth certificate late in life, she learned she had been born on April 25, 1916. She had been adopted by a farm couple in Rhinelander, Wis., and was given the name Dorothy Margaret Salisbury. She spent her early childhood in Rhinelander and in Chicago. The family later became tenant farmers about 40 miles north of Chicago. 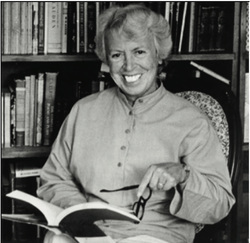 Mrs. Davis studied literature at Barat College in Lake Forest, Ill., and graduated in 1938. In the depths of the Depression, she got a job as a magician’s assistant. She hated the job but mined the experience in her books, almost never portraying a magician in a positive light. She later worked in public relations for a meatpacking company. A lover of the theater, she married Harry Davis, the stage manager for a touring production of “The Glass Menagerie,” in 1946. He urged her to start writing. Mr. Davis died in 1993. They had no children, and no immediate family members survive. The Fantastic Universe Omnibus (1960) – contains science fiction story "The Muted Horn"
Murder in Manhattan (1986) – contains "Till Death Do Us Part"
Murder on the Run (1998) – contains "The Scream"
Murder Among Friends (2000) – contains "Hank's Tale"
Sisters on the Case: Celebrating Twenty Years of Sisters in Crime (2007) – contains "Dies Irae"
On a Raven's Wing: New Tales in Honor of Edgar Allan Poe (2009) – contains "Emily's Time"
Women on the Case (2009) – contains "Miles to Go"